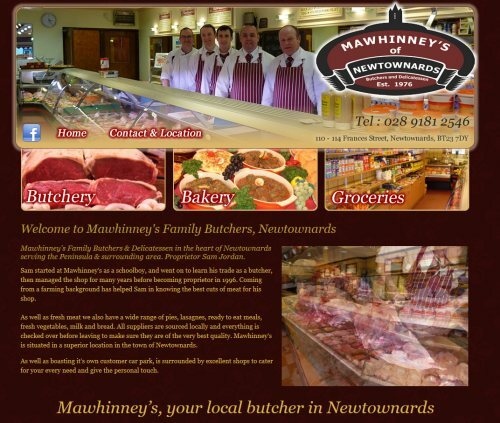 Mawhinney’s Family butchers have been an established business in the town for many years now. Now owned by Sam Jordan who started working at the shop as a schoolboy in 1996 the company not only provide the best cuts of meat available but also include a bakery and groceries section in store. The website was given a traditional look and feel but using the latest HTML5 technology we included scrolling slideshows and an interactive map to make the website come alive.